Red Robin – $1 Kids Meals (10 and under) wyb an adult entree or gourmet burger from 5-10pm. 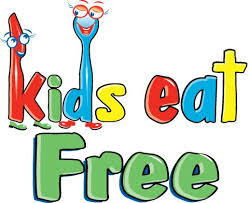 Applebee’s – Free Kids Meal with adult entree purchase. Previous postFort Worth Brahmas Year End Fan Celebration! FREE Kids meal Tuesday at Red Robin does not apply to all locations.